Oaks Lighting Hika single light table lamp features an mirror black base with smoked glass central body and comes complete with a black drum shade. 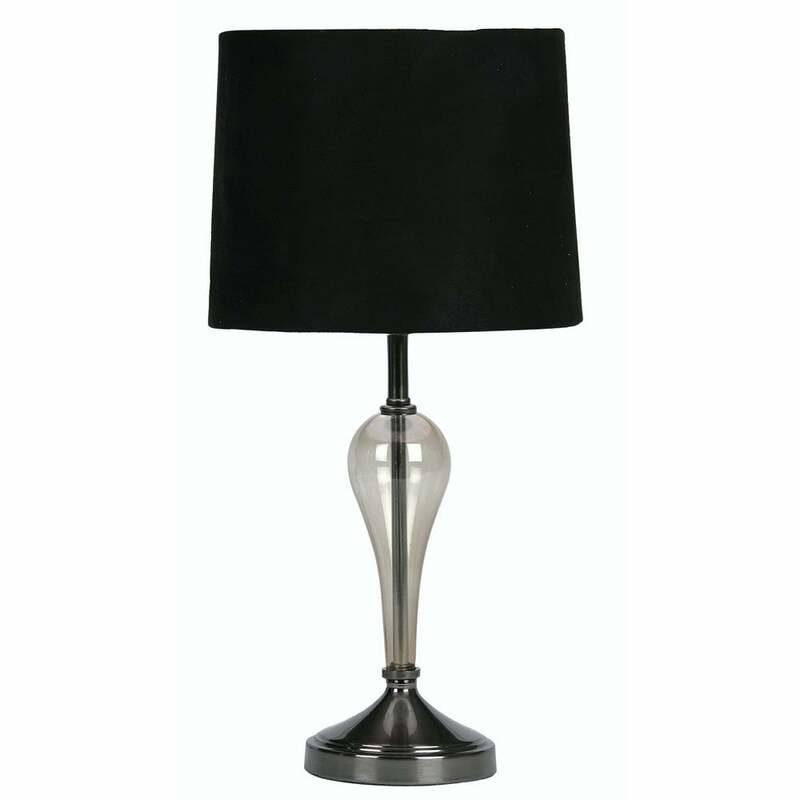 The product code for this Oaks table lamp is TL 911 MB. This stylish design will sit well in both modern or contemporary style decors and the combination of black and smoked glass finish adds an elegant touch. The 3 touch dimmer touch operation allows you to create atmospheric lighting. The Hika touch range is also available in chrome and antique brass finish which can be viewed on our website.